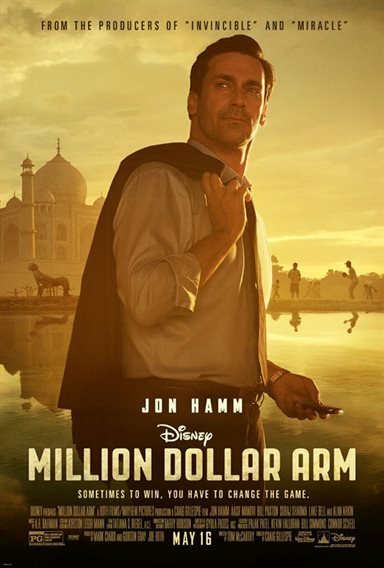 In Walt Disney Pictures’ drama “Million Dollar Arm,” the fate of JB Bernstein’s career as a sports agent rests with finding an exceptionally gifted young cricket pitcher in India, who can be trained for an American major league baseball team. Download Million Dollar Arm in Digital HD from the iTunes store. Million Dollar Arm images are © Walt Disney Pictures. All Rights Reserved.